Study breaks = Cookie making!! For gifts this year for close friends I have decided to make vegan ginger bread men. Not the most creative gift but they are delicious and I have yet to meet someone who turns down cookies. Prepare oven for 350F. Grease two to three cookie sheets with coconut oil. In a large bowl combine all wet ingredients, followed by all dry ingredients. Mix until dough can easily be managed. If too sticky, add more flour (1 tbsp at a time) if too dry add more soymilk (1 tbsp at a time). Flour a generous working surface (such as a table or counter top). Using a rolling pin, roll dough mixture out onto well floured surface till 1/2 inch thick. 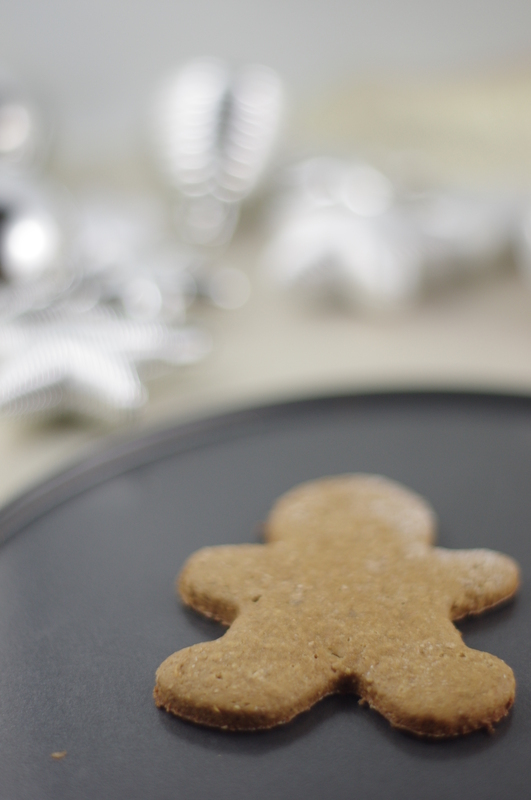 Using a gingerbread man (or other Christmas) cookie cutter, cut out dough and place on greased cookie sheets. Repeat till all dough is used up. Bake cookies for 12 minutes or until cookies are nearly firm when touched. 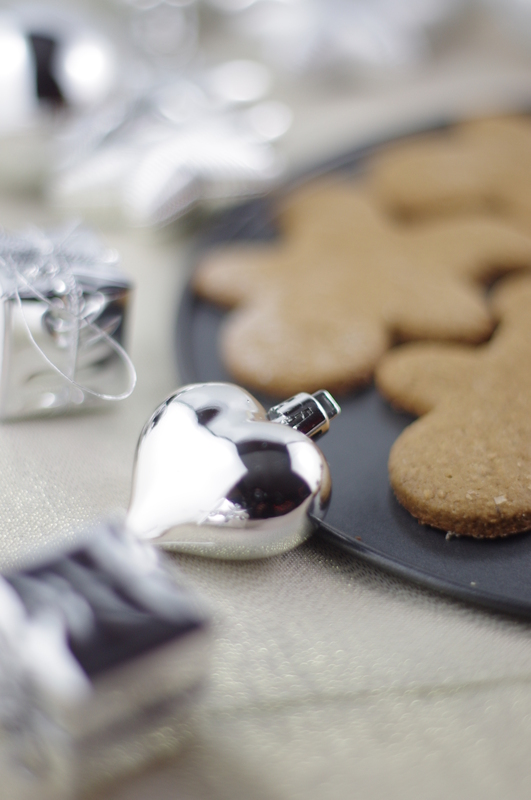 To decorate the cookies, use icing (icing sugar and soymilk), sprinkles and candy. Enjoy!